Wallace S. Broecker, Ph.D. and Tungsheng Liu, Ph.D. 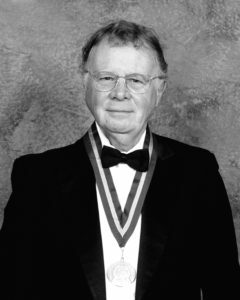 The 2002 Tyler Prize for Environmental Achievement is being awarded to Wallace S. Broecker to honor him for his pioneering discoveries using geological clues to understand the ocean’s role in global climate change. Further, Broecker’s research has been instrumental in developing the use of a wide range of geochemical tracers to describe basic biological, chemical and physical processes that govern the behavior of carbon dioxide in the oceans and the interactions of oceanic carbon dioxide with the atmosphere. Dr. Broecker’s studies have long been at the core of understanding how the glacial climate system worked. He and his students used a number of new approaches to study the earth’s climate, including the use of radiocarbon and other isotopes to date marine sediments. His studies on glacial/interglacial climate change provided the first definitive evidence in support of the Milankovitch Theory, which held that variations in earth’s orbit around the sun and the resulting changes in insolation induce the glacial/interglacial climate cycle. Broecker proposed the concept of a global oceanic “conveyor belt” of currents that transports heat around the globe and is tied to abrupt shifts of the earth’s climate. He identified the importance of changes in North Atlantic deep-water formation as a leading candidate for the trigger of abrupt climate changes over the last few million years. Dr. Broecker was born in Chicago, Illinois on November 29, 1931. He received his AB degree from Columbia University in 1953 and his PhD degree in 1958. He immediately joined the faculty of Columbia in 1959 as an Assistant Professor and rose through the ranks to become a Full Professor in 1964. He has spent his entire five-decade long career at Columbia and has held the title of Newberry Professor of Earth and Environmental Sciences at Columbia’s Lamont-Doherty Earth Observatory since 1977. Dr. Broecker has been a prolific researcher, teacher and author. He has published over 400 scientific articles and he shows no signs of slowing down, as his recent vita lists over a dozen articles in press and another half dozen in preparation. He is the author of several textbooks, beginning in 1971 with his work on “Chemical Equilibria in the Earth”. He authored “Chemical Oceanography” in 1974, “Tracers in the Sea” in 1982, and “How to Build a Habitable Planet” in 1985. His two most recent books, “The Glacial World According to Wally” and “Greenhouse Puzzles” were published in 1992 and 1994. Dr. Broecker has been a member of the U.S. National Academy of Sciences since 1979. He is also a member of the American Academy of Arts and Sciences. He is a Fellow of both the American and European Geophysical Unions. Numerous medals and awards have been bestowed on him. He is the recipient of both the Maurice W. Ewing Medal (1979) and the Roger Revelle Medal (1995) from the American Geophysical Union. 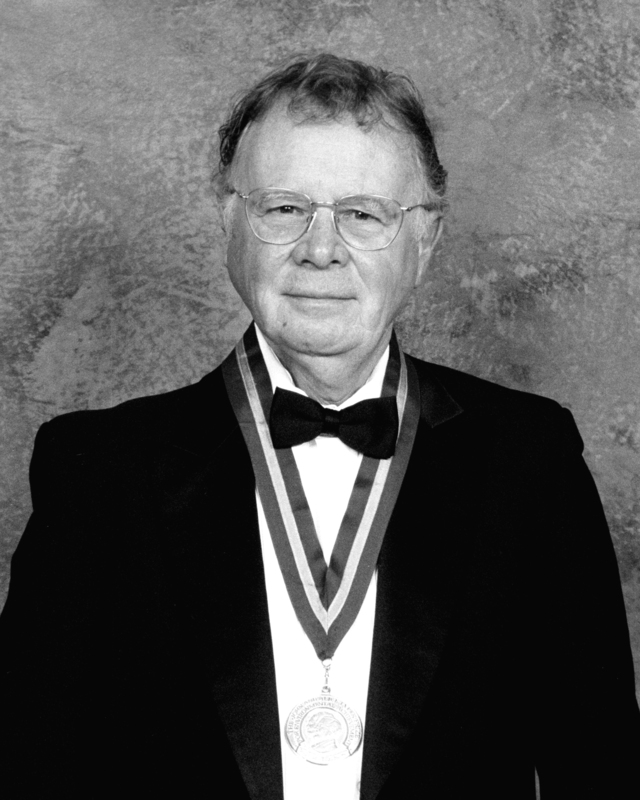 The Geological Society of America awarded him the Arthur L. Day Medal in 1984 and the Don J. Easterbrook Distinguished Scientist Award in 2000. In 1985 the A. G. Huntsman Foundation awarded him the A.G. Huntsman Award for Excellence in the Marine Sciences. In 1986, he was honored with three major awards for his scientific contributions, the Urey Medal from the European Geophysical Union, the Alexander Agassiz Medal by the National Academy of Sciences and the V. M. Goldschmidt Award from the Geochemical Society. The Geological Society of London bestowed the Wollaston Medal on him in 1990. 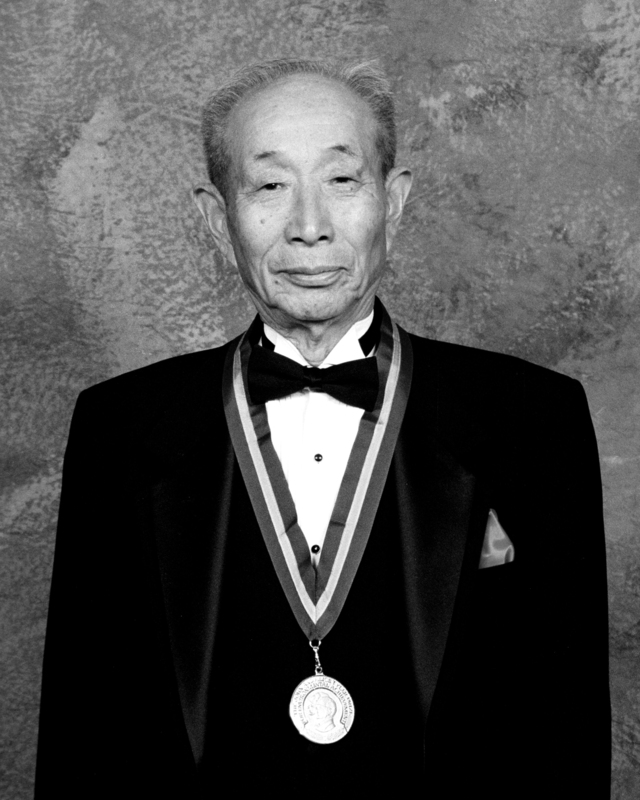 The Blue Planet Prize from the Asahi Glass Foundation of Tokyo was awarded to him in 1996 for achievements in global environmental research. Also in 1996, President William Jefferson Clinton bestowed the USA’s highest honor the National Medal of Science for “his pioneering contributions in understanding chemical changes in the ocean and atmospheres,” as well as for research on global climate change. Broecker has played an active role in the environmental policy debate and in informing the broader public. He has been a leading voice warning of the potential danger of increased greenhouse gases in earth’s atmosphere. He has written articles for the popular press, testified before congressional committees and briefed officials at the highest levels of government in order to bring scientific insights to bear on policy issues. Professor Broecker has an unparalled record of innovative experimental contributions to global change studies and has made important contributions to the global change policy dialog. Dr. Broecker’s studies have long been at the core of understanding how the glacial climate system worked. He and his students used a number of new approaches to study the earth’s climate, including the use of radiocarbon and other isotopes to date marine sediments. His studies on glacial/interglacial climate change provided the first definitive evidence in support of the Milankovitch Theory, which held that variations in earth’s orbit around the sun and the resulting changes in insolation induce the glacial/interglacial climate cycle. Broecker proposed the concept of a global oceanic “conveyor belt” of currents that transports heat around the globe and is tied to abrupt shifts of the earth’s climate. He identified the importance of changes in North Atlantic deep-water formation as a leading candidate for the trigger of abrupt climate changes over the last few million years. Broecker has played an active role in the environmental policy debate and in informing the broader public. He has been a leading voice warning of the potential danger of increased greenhouse gases in earth’s atmosphere. He has written articles for the popular press, testified before congressional committees and briefed officials at the highest levels of government in order to bring scientific insights to bear on policy issues. Professor Broecker has an unparalled record of innovative experimental contributions to global change studies and has made important contributions to the global change policy dialog. Dr. Tungsheng Liu is being honored with the 2002 Tyler Prize for his pioneering contributions in recognizing and using terrestrial sediments to understand global environmental change. He has been a trailblazer in developing ways to measure paleoclimatic change over the last 2.5 million years through studies of loess, a windblown dust, that forms thick deposits over much of central China. Professor Liu is recognized as the father of paleoenvironmental research on Chinese loess-soil sequences. Liu’s research over the last 5 decades has clearly demonstrated that loess provides a complete and accurate continental record of environmental change. The fine-grained dust is now widely considered one of three reliable sources of past environmental information ­ the other two are deep-sea sediments and arctic ice cores. Liu’s accumulated work on the loess/paleosol sequences has also led to a deeper knowledge and understanding of the variability through time of the Southeast Asian monsoon system. Liu’s research group was instrumental in discovering the underlying causes of Keshan disease, which affected thousands of people in China and vexed the Chinese medical community for decades. Keshan’s is a debilitating disease of the heart muscle resulting in cardiovascular failure. Liu’s research group linked the disease to deficiencies of trace elements in local soil and water, a problem now countered by supplements of selenium and other nutrients. These research findings have saved thousands of lives. Further contributions to solving environmental problems in China, resulted from Liu and his colleagues studies on vegetation recovery and environmental geology, which helped government officials in China improve overall environmental quality through urban construction reform. Dr. Liu was born on November 22, 1917 in Shenyang, Liaoning, the Peoples Republic of China. He obtained his Bachelors degree in Geology from the National Southwest Associated University in Kunming in 1942 and finished his study in the Department of Biology of National Central University in Nanjing in 1949. He was employed as a Junior Geologist and Paleontologist for the Geological Survey of China from 1945-1949 and was a Senior Geologist with the Bureau of Geology and Mineral Resources in the Ministry of Geology from 1949-1953. In 1953, he joined the Institute of Geology, Chinese Academy of Sciences as an Associate Professor and advanced through the ranks to Professor. He was a Professor in the Institute of Geochemistry at Guiyang from 1968 ­ 1979. From 1979 to the present, he has been a professor at the Laboratory of Quaternary Geology of the Institute of Geology, Chinese Academy of Sciences. During this time he has also served as the Secretary General of the China Association for Sciences and Technology from 1982-1986. He was Director of the China Science and Technology Museum from 1982-1997. In 1985, he founded the Xi’an Laboratory of Loess and Quaternary Geology and served as its Director until 1992. Liu has been a member of the Chinese Academy of Sciences since 1980. He has been honored with numerous prizes and awards for his scholarly research. He has three times been honored with awards from The National Natural Science Prize of China. He received the Chen Jiageng Award for Natural Sciences (Geology) in 1989 and in 1993 a distinguished award from the China Green Prize of Environmental Science and Technology. In 1991, he was elected as a fellow of Third World Academy of Sciences (TWAS). He was a recipient of the Ho Leung Ho Lee Prize in Earth Sciences in 1995 and was named an Academician of the International Eurasian Academy of Sciences (IEAS) in 1996. Dr. Liu is a past President of the International Union for Quaternary Research (INQUA) and a founding member of the International Geosphere-Biosphere Programme on Past Global Changes (PAGES). Dr. Liu is an internationally known and highly respected geologist. He has not only made considerable fundamental scientific contributions but has shown deep dedication to the training and encouragement of younger generations of Chinese scientists. His participation and leadership in several international programs, has been a major catalyst in initiating international environmental research efforts that both supported the contributions of young Chinese scientists and enabled many western scientists to participate in research in China. Dr. Liu has had an enormous influence on environmental geology internationally and in China.